A good compilation of Synergy most accomplished works. The first part is especially worth the try, as it captures the first 3 albums : in particular two great tracks from Electronic Realizations For Rock Orchestra, Classical Gas, and the mini-cosmic-electronic epic Phobos and Deimos, which will take you in a galaxy far far away. One of Larry Fast's best pieces ! 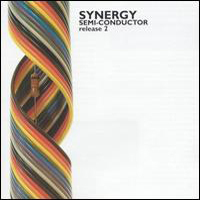 This compilation is recommended for Synergy fans or to discover the band. I give 4 stars for the first disc and 3 stars for the second. Prepare your spaceship !